Cyril Stanley Mann was an exciting, high-marking footballer who played for the Port Melbourne Football Club from 1946 until 1948. Cyril was born in Carlton in 1918. His mother was Jessie Alma née Cooper, daughter of prominent Yorta Yorta Elder and Aboriginal activist William Cooper (c.1860–1941). 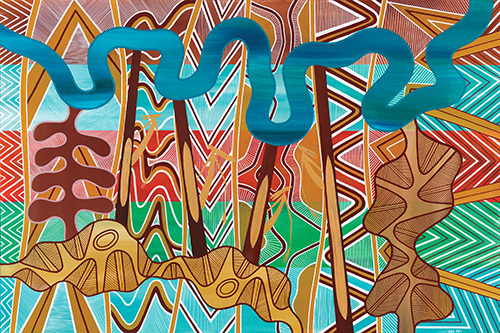 Cooper founded the Australian Aborigines League and helped organise the national ‘Day of Mourning’ in 1938. The Cooper family were fine athletes, with Cyril’s uncle Lynch Cooper winning the 1928 Stawell Gift. As a youth, Cyril Mann played for Footscray in the Under-16s, in 1933 or 1934. His grandfather William Cooper had moved to Footscray in 1933, in order to be eligible for the old-age pension, so he probably went to watch his grandson playing football. It is possible that Mann was living with his grandfather at that time. By 1935, Mann was playing for Silvan in the Yarra Valley Association, where he was a star player. A local newspaper noted his considerable talent: ‘C. Mann gave his usual display of spectacular fireworks. The boy certainly pleases the crowd with his freak marks and tireless enthusiasm’. From Silvan, Mann was picked up by Carlton to play in the VFL. He played with Carlton from 1939 until 1942, when he was called up for war service. Returning from the war in 1945, he played a few last games with Carlton. Mann was renowned for his ‘inherent athleticism’ and as ‘a freakish high mark’, which thrilled spectators. He played for Brunswick for a short time, and then in 1946 he moved to Port Melbourne, or ‘the Boroughs’ as they were known, where he played 43 games. Described as ‘the club’s dashing centre half-back’, he again enjoyed great success on the field. 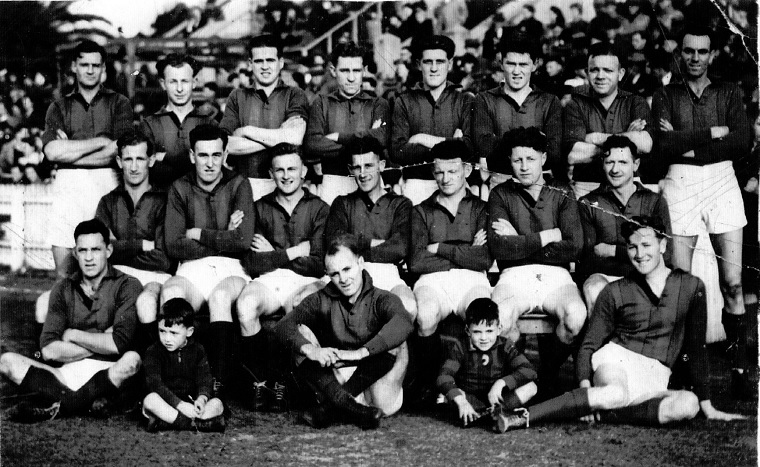 He starred in the 1947 premiership side that lined up against Sandringham on a wet September afternoon, and won the club’s George Ogilvie Best and Fairest Award that year. He also won the club’s Popular Player Competition in 1947, determined by public vote, in which Mann polled a remarkable 21,400 votes from a total number of 63,000 votes submitted. Cyril Mann retired from football altogether in mid-season 1948. He died of a heart attack in 1964, aged just 46.